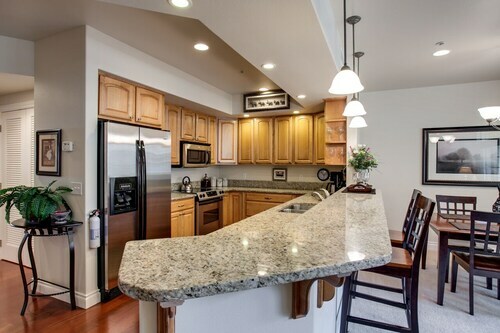 Located in Leavenworth, this beachfront property is in the city center, just steps from Waterfront Park and Okanogan-Wenatchee National Forest. Front Street Park and Leavenworth Nutcracker Museum are also within 5 minutes. 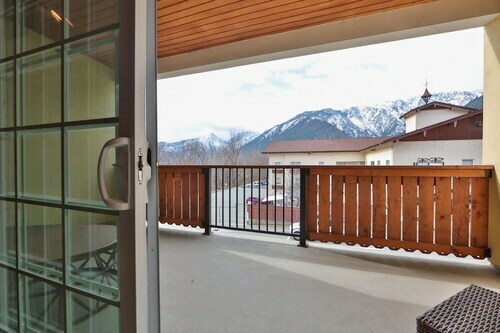 Located in the heart of Leavenworth, this romantic vacation home is steps from Upper Valley Museum and Okanogan-Wenatchee National Forest. Waterfront Park and Front Street Park are also within 5 minutes. Leavenworth Station is 25 minutes by foot. 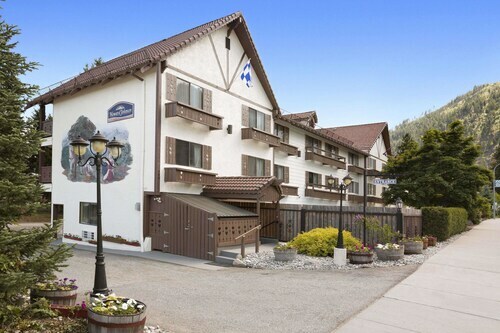 Located in the heart of Leavenworth, this historic property is steps from Waterfront Park and Okanogan-Wenatchee National Forest. Front Street Park and Upper Valley Museum are also within 5 minutes. Leavenworth Station is 29 minutes by foot. 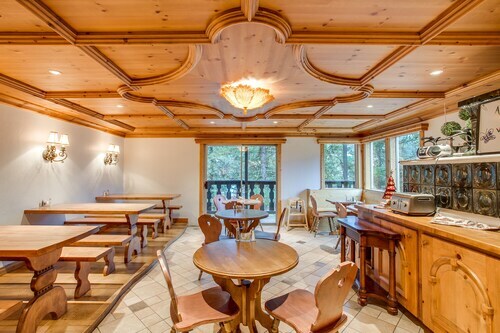 Located in Leavenworth, this beachfront vacation home is in the city center and within 1 mi (2 km) of Upper Valley Museum and Okanogan-Wenatchee National Forest. Waterfront Park and Front Street Park are also within 10 minutes. Leavenworth Station is 22 minutes by foot. 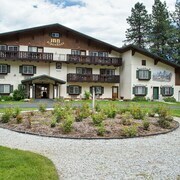 Located in the heart of Leavenworth, this hotel is within 1 mi (2 km) of Leavenworth Summer Theater and Okanogan-Wenatchee National Forest. Leavenworth Nutcracker Museum and Front Street Park are also within 10 minutes. 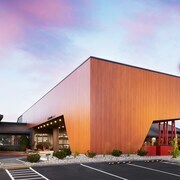 Situated in Wenatchee, this hotel is within a 15-minute walk of Town Toyota Center and Wenatchee Confluence State Park. Walla Walla Point Park and Riverfront Park are also within 1 mi (2 km). 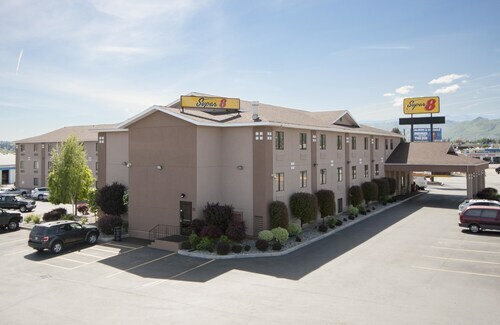 Situated in the suburbs, this hotel is within 1 mi (2 km) of Wenatchee Confluence State Park, Walla Walla Point Park, and Town Toyota Center. 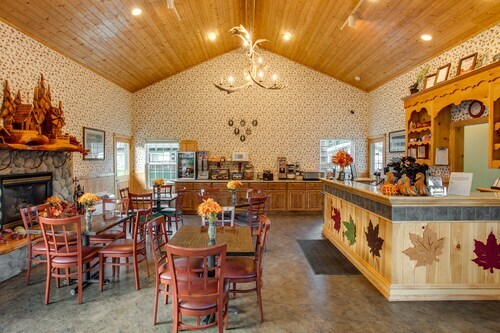 Chateau Faire Le Pont Winery and Washington State Apple Commission Visitors Center are also within 3 mi (5 km). 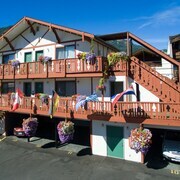 Situated on the waterfront, this motel is within 1 mi (2 km) of Waterfront Park and Okanogan-Wenatchee National Forest. Upper Valley Museum and Berghof Keller Winery are also within 15 minutes. Leavenworth Station is 24 minutes by foot. 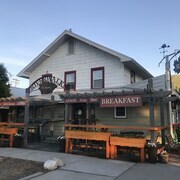 Situated on a river, this bed & breakfast is close to Ohme Gardens, Chateau Faire Le Pont Winery, and Washington State Apple Commission Visitors Center. Local attractions also include Wenatchee Confluence State Park. Is your anniversary quickly approaching? Maybe you’re looking for the perfect honeymoon getaway? Or, has it just been too long since you and yours had some quality alone time away from the hectic schedule of everyday life? 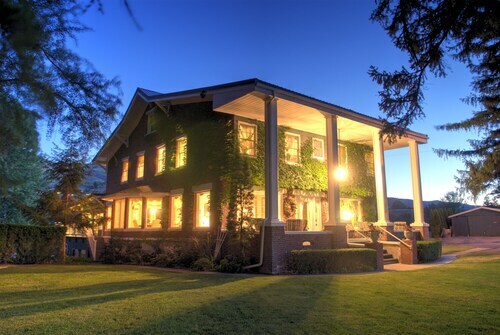 Take a steamy trip and stay at one of the most romantic hotels in Wenatchee - Lake Chelan. Remember the feeling of first meeting your significant other? You were nervous and excited. It felt like talking to your first crush on the playground. 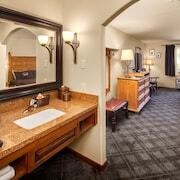 Re-ignite those feelings with an unforgettable stay to one of the Wenatchee - Lake Chelan romantic hotels. 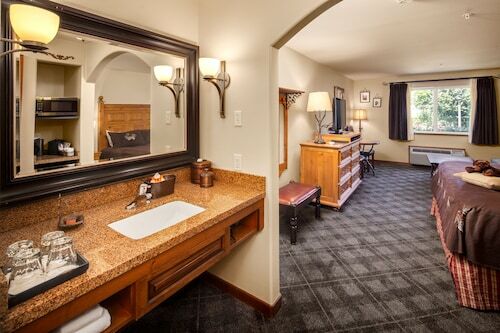 Treat your loved one to a perfect day with breakfast in bed, a day at the spa and then a sultry dinner at a top restaurant in Wenatchee - Lake Chelan. After dinner, take a moonlit walk through one of the city’s beautiful parks, because nothing says romance like a stroll under the stars. 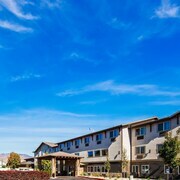 Whether you have been together for a few weeks or 50 years, the romantic hotels in Wenatchee - Lake Chelan are the perfect weekend getaway for you and your loved one. 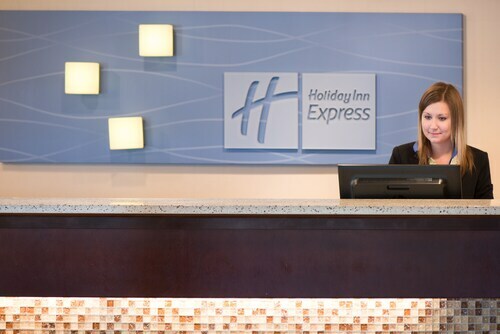 You’ll also be feeling affectionate toward Travelocity when you browse our vast selection of accommodations that cater to couples. 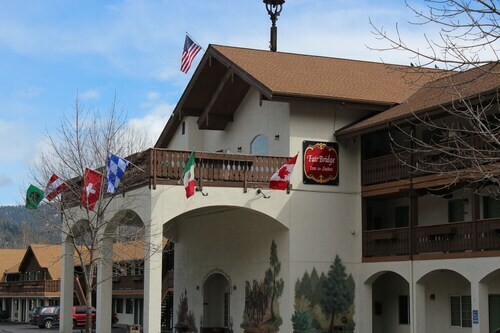 We have unbelievable deals on the best romantic hotels in Wenatchee - Lake Chelan, so you don’t have to worry about breaking the bank for your trip. Book now and let the honeymoon begin. Staff were welcoming and helpful. Pool was great! Chair covers in our room needed to be cleaned. Great location. Very impressed with breakfast bar and staff helping in that area! The propert is in need of updating and general maintenance. easy to get around.Cute staff very friendly and helpful. The rooms felt more like a home environment then just a hotel room, staff was friendly. 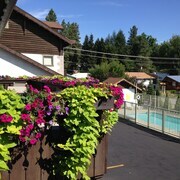 Quiet part of town with easy access to activities in Wenatchee and Leavenworth.